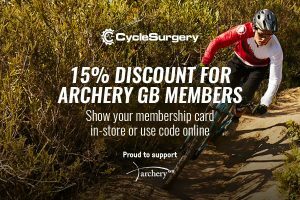 Archery GB are delighted to welcome on board as a recommended retail partner the Outdoor and Cycle Concepts Group. Cotswold Outdoor have been helping people prepare for adventure for over four decades, offering one of the most extensive and comprehensive ranges of outdoor clothing, equipment and accessories. Selecting from over 250 top quality brands allows Cotswold Outdoor to bring you the latest in outdoor technology and styles, leaving you to explore in the knowledge that you’ve got the best kit around. 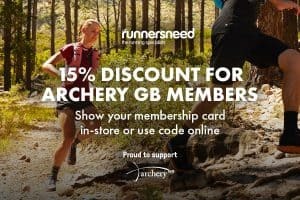 As an Archery GB member, you can enjoy 15% discount – just show your membership card in-store or use valid discount code online. Full T&Cs apply. Selected lines are exempt. Not to be used in conjunction with any other offer or discount. 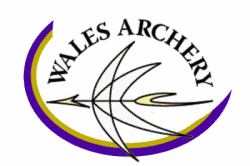 Only valid on production of Archery GB identification in-store or use of valid discount code online. Offer expires 31.12.19. Established in 1982 by a small team of dedicated snow sport enthusiasts, Snow+Rock fast became one of the leading names in snow sportswear. From the very beginning, they have challenged tradition, introducing new brands, technologies and designs, whilst delivering the highest level of service and expertise. 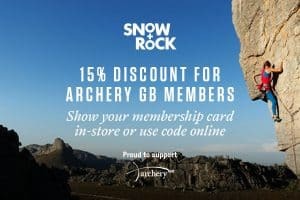 Snow+Rock has grown, but their enthusiasm for the outdoors has remained the same, forever striving to provide customers with the best products from the most exciting brands, with genuine passion and expertise. Start your next adventure with a great in-store experience, receive year-round, friendly, expert advice and discover the best brands around. We know where you’d rather be. Full T&Cs apply. Selected lines are exempt. Not to be used in conjunction with any other offer or discount. 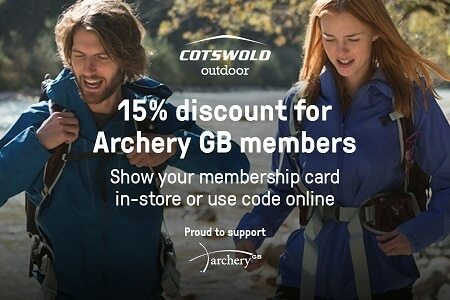 Only valid on production of Archery GB identification in-store or use of valid discount code online. Offer expires 31.12.18. Cycle Surgery know why they ride and they are passionate about understanding why you ride too. Wherever your ride takes you – on the road, in the city, or out on the trails – Cycle Surgery will help get you out there with expert advice and high-quality products. Whether you cycle for fitness, for freedom, or the sheer thrill of beating the traffic, Cycle Surgery are here to help you make the most of the time you spend on your bike. With the best brands and quality products, you’ll find everything you need in-store and online, including advice, support and technical know-how from the Cycle Surgery experts in-store. Bikes, clothing, accessories and maintenance – they really know their stuff. However and wherever you ride, Cycle Surgery are out there with you. At Runners Need, they believe that every run should be a great one. Whatever your goals, they are here to help you reach them with the latest products from world-leading brands and a friendly, expert service in-store and online. Runners Need believe that a great run starts with the right shoe, which is why they offer free gait analysis and professional fitting in every store. But running with Runners Need is about more than just the shoes. They are passionate about providing the latest innovations in performance fabrics, high-tech gadgets and accessories, training and nutrition science, so that you get the most out of every run. Whenever and however you run, their range is versatile to suit your lifestyle, be it on the road, in the gym or at home. Whatever gets you moving, Runners Need are here to help you every step of the way.